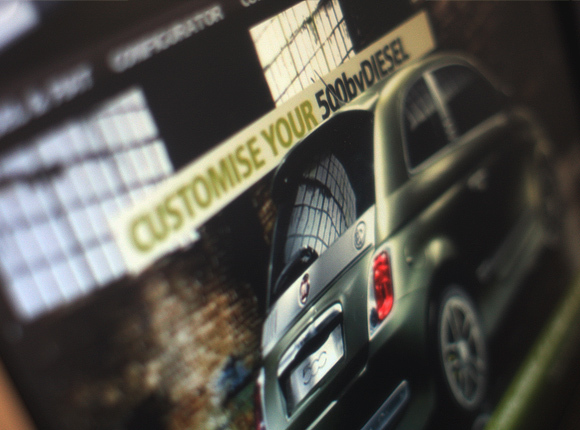 New touchscreen kiosk project has gone into 3 stores across the UK for Diesel promoting the new Diesel custom branded Fiat. 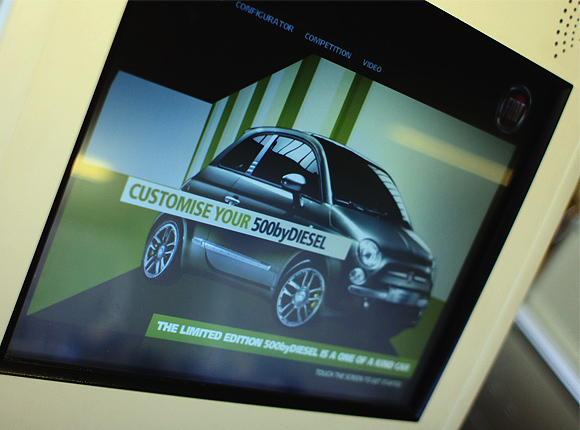 The kiosk provides information about the car and also allows users to enter a competition to win a Diesel branded Fiat. Built in Flash and Zinc. 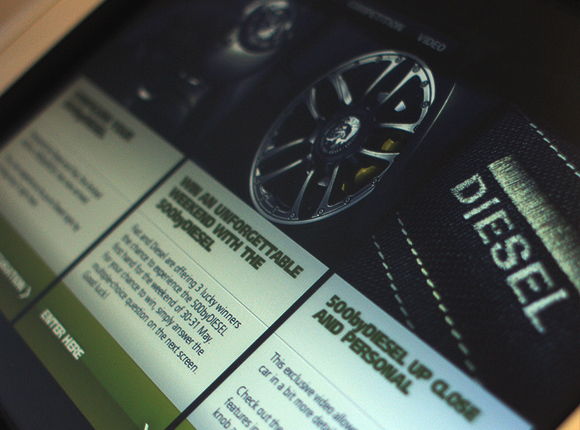 Created at Outside Line studios, configurator by AKQA. By Electrolyte Posted in installation, work You can follow any responses to this entry through the RSS 2.0 feed 2 Comments	Responses are currently closed, but you can trackback from your own site. Just curious. Are there any difference in designing in flash for something to be used on kiosk? Except the buttons have to be larger and no hover effects for the buttons? Hi, no there’s not much difference but your right you do need to consider people pressing with fingers rather than a mouse so buttons should be a bit bigger. 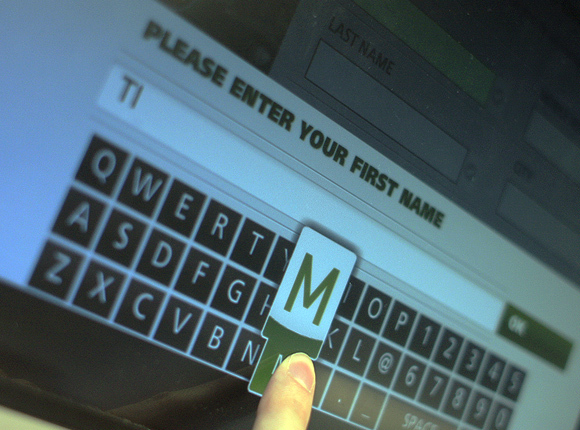 You will also need to wrap the swf in something link MDM Zinc if you are having a kiosk with a keyboard. This is to prevent user’s from quitting the app using Alt+F4 and to trap all key presses. 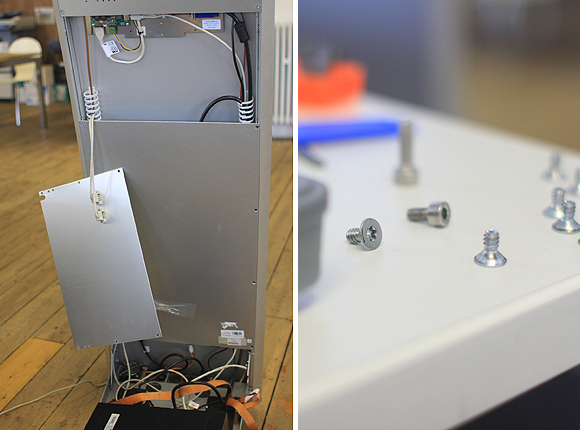 In the above kiosk I took the keyboards off and built an on-screen keyboard which is a nicer workaround. I ended up running it in Zinc embedding a IE window and running the app on a local wAmp server so data could be saved to a MySQL DB locally.